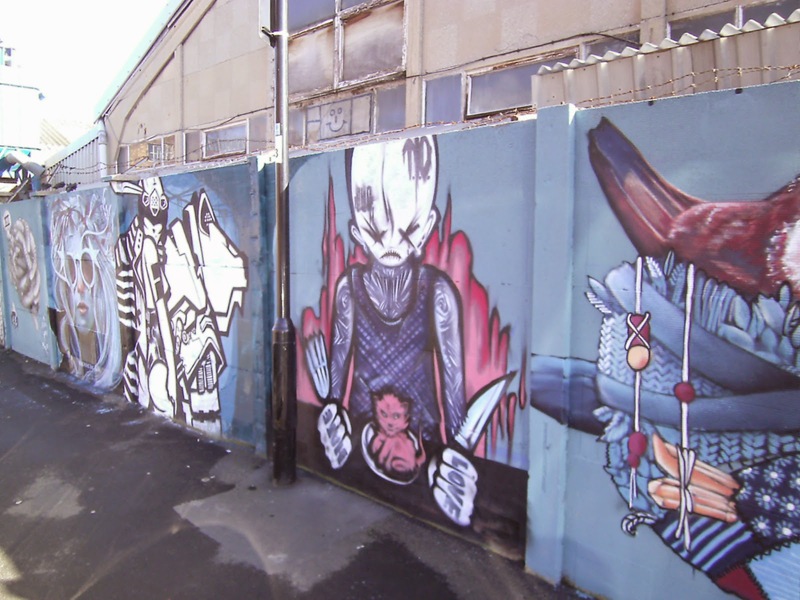 We've taken many photos of the brilliant street art around Sheffield city centre so we thought it was about time we did a monthly round up. 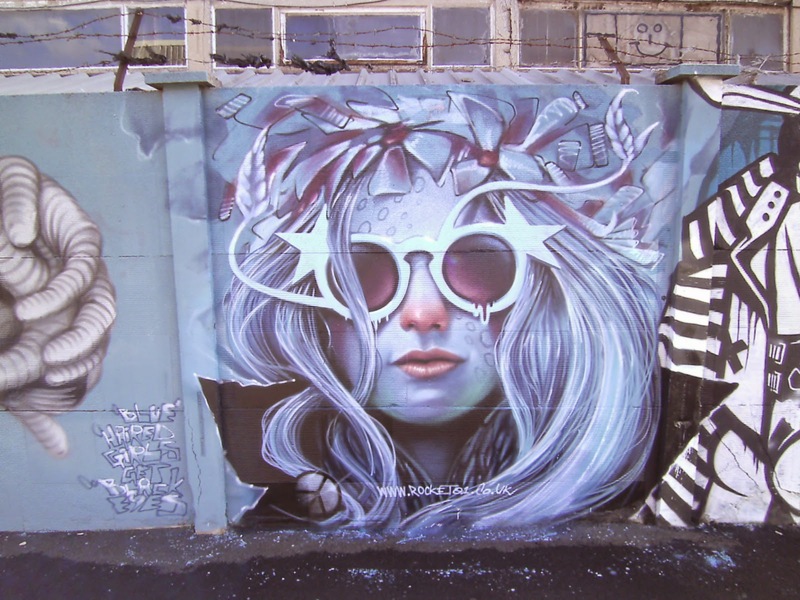 As is the nature of street art so much comes and goes so it is important to capture what see before it disappears or is ruined. 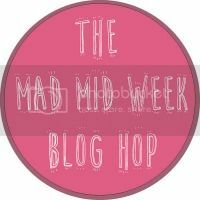 This is a selection of what we have spotted in the past weeks; some very new pieces plus some Sheffield classics. 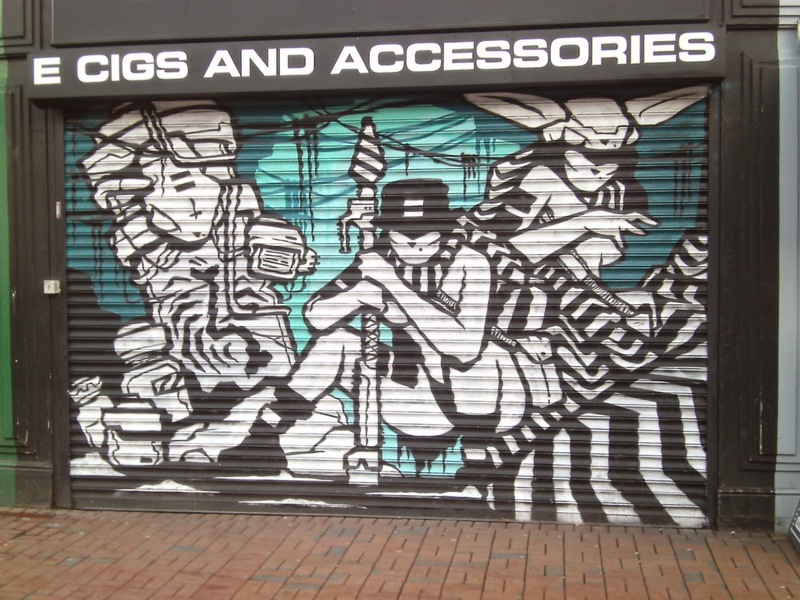 Above is a piece by Bubba 2000 who went on a a bit of a spree last year down the Ecclesall Road. Leap of faith looks safe for a while but this one is on borrowed time. 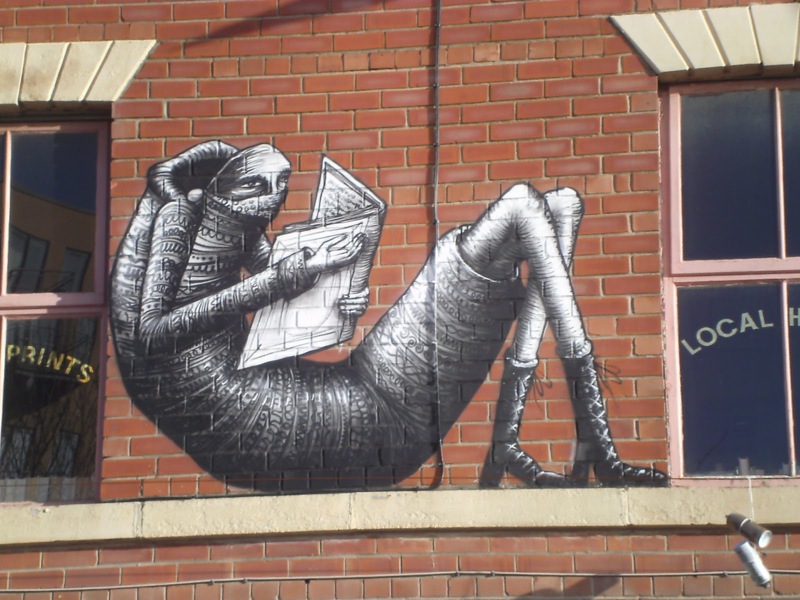 ...and this one from Phlegm. 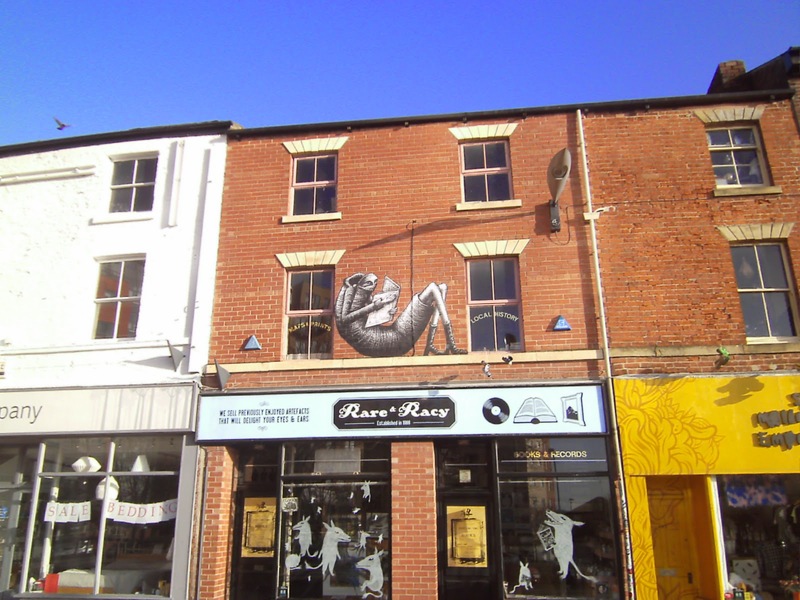 Phlegm painted it above one of his favourite shops, Rare and Racy. 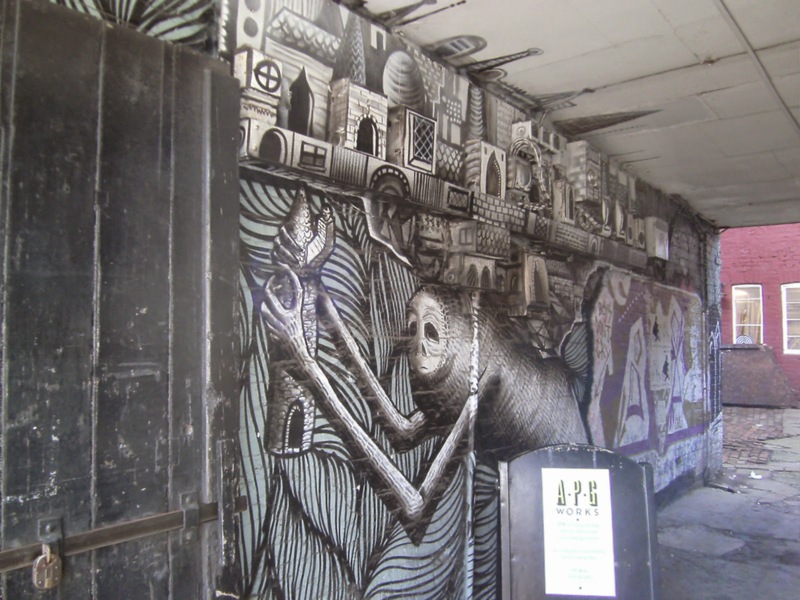 If you head behind Rare and Racy there's a fabulous piece by Phlegm. Imagine being able to step outside your front door and see this everyday! 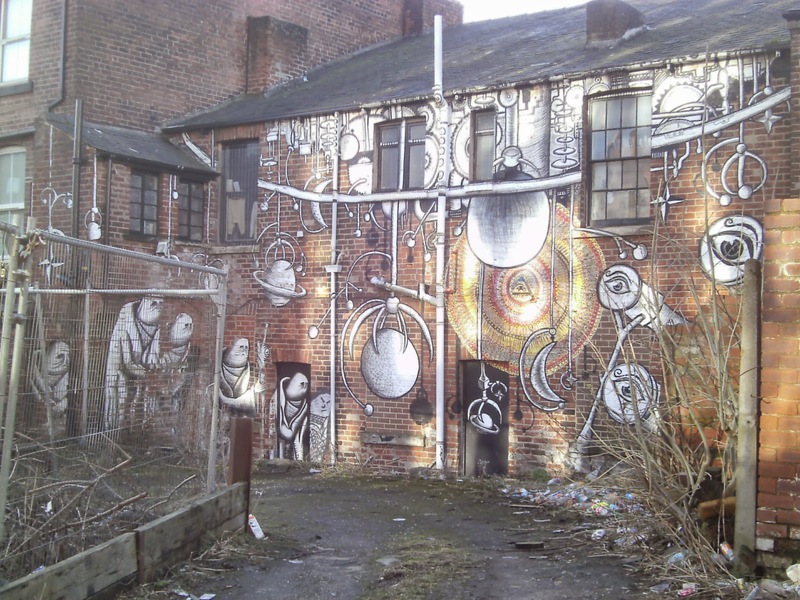 If you want to see a rare Phlegm piece in colour then head to Sharrow Vale Road. While you're there take the time to pop into Pete McKee's gallery A Month of Sundays. 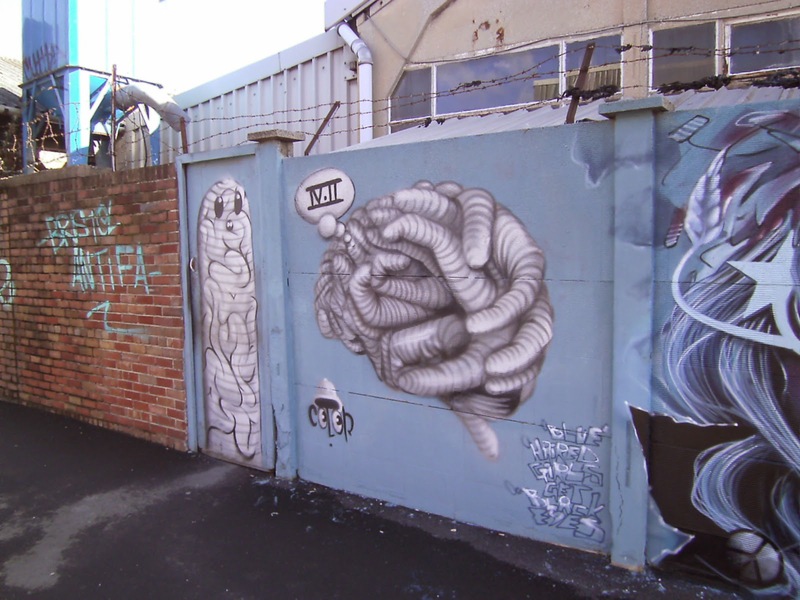 You can find another Phlegm at the APG Works on Sidney Street along with some other well known street artists. ...and this one from EMA. Down Arundel Street there's a whole row of pieces on the boardings. First up is Eugene Booms. 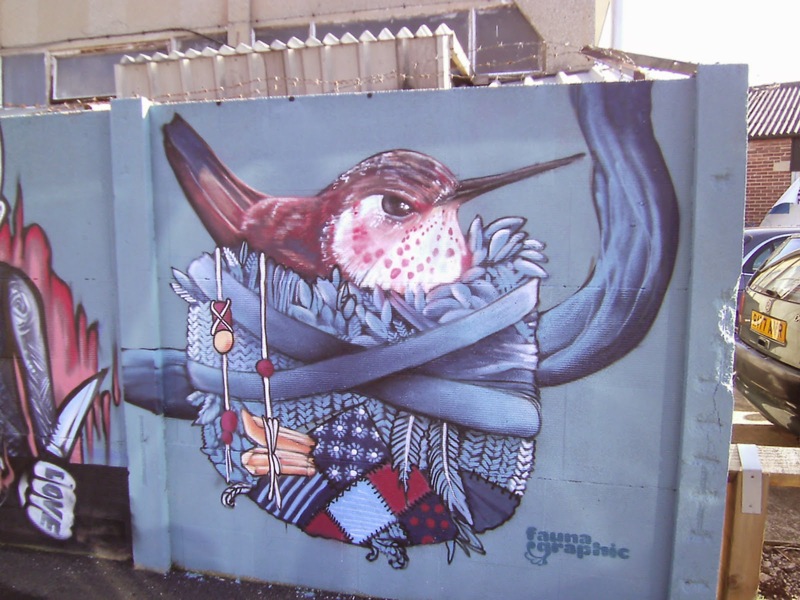 The very recognisable style of Faunagraphic.com. 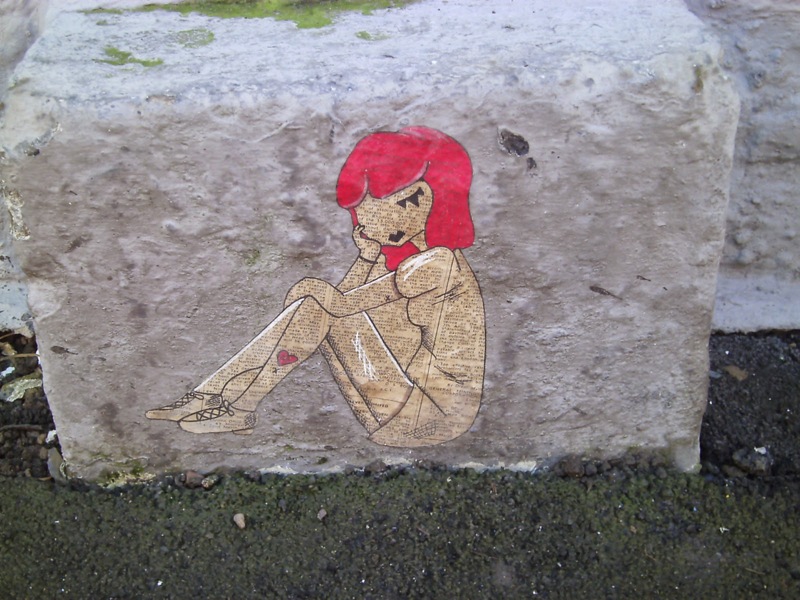 When we saw this one from Rocket01 last year it had been defaced but it has now been restored. 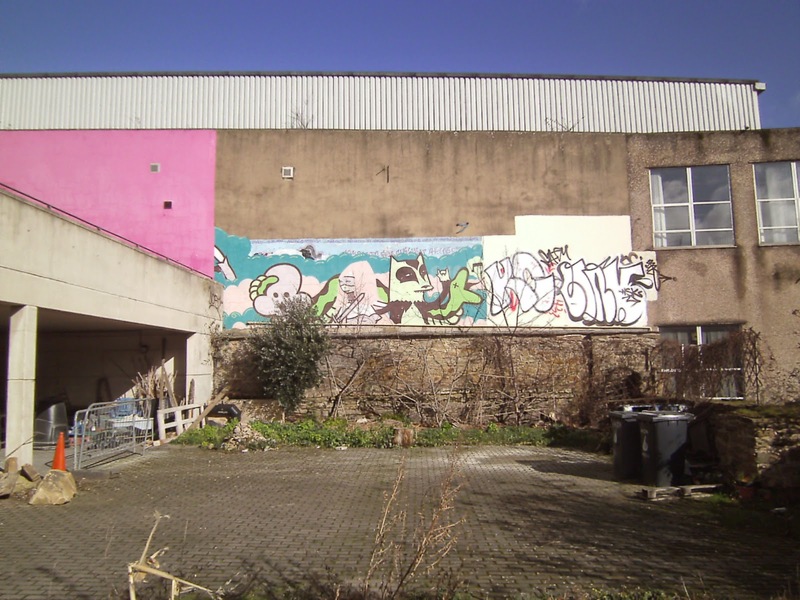 Both Mila K and coLor have other pieces in Sheffield. 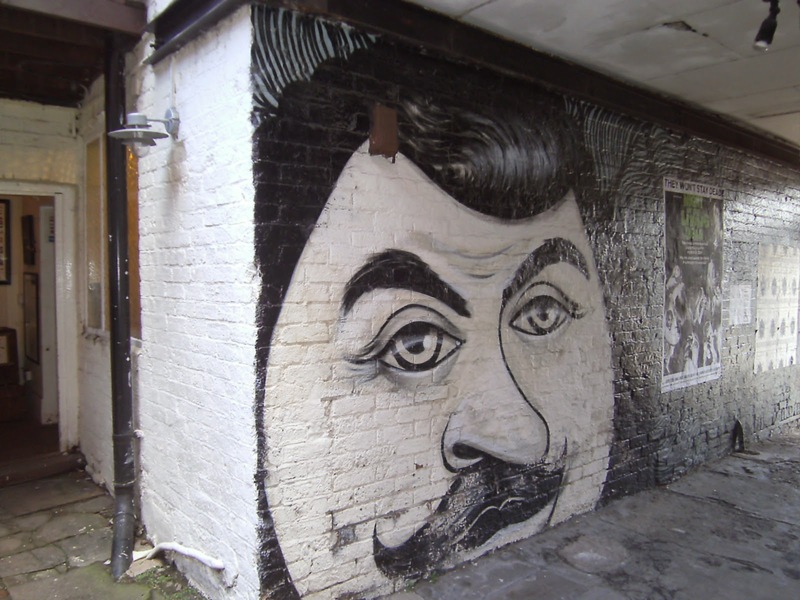 This one on West Street from Mila K is only visible when the shop shutters are down. 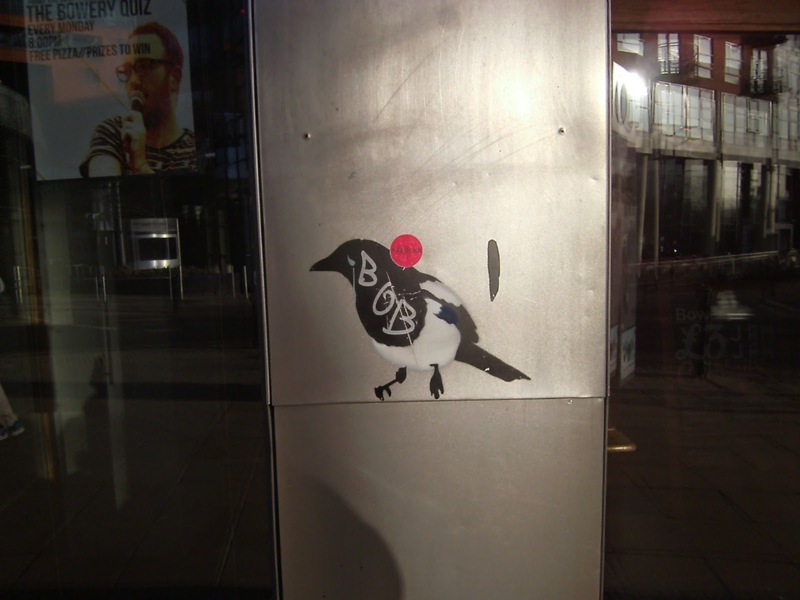 Around Sheffield coLor has made a trail of numbered magpies. 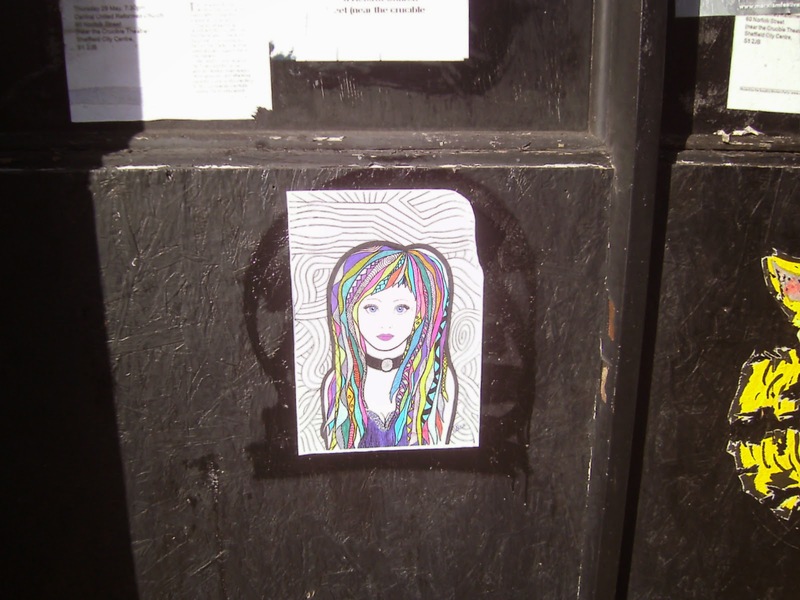 This is 'One for sorrow' on The Bowery. 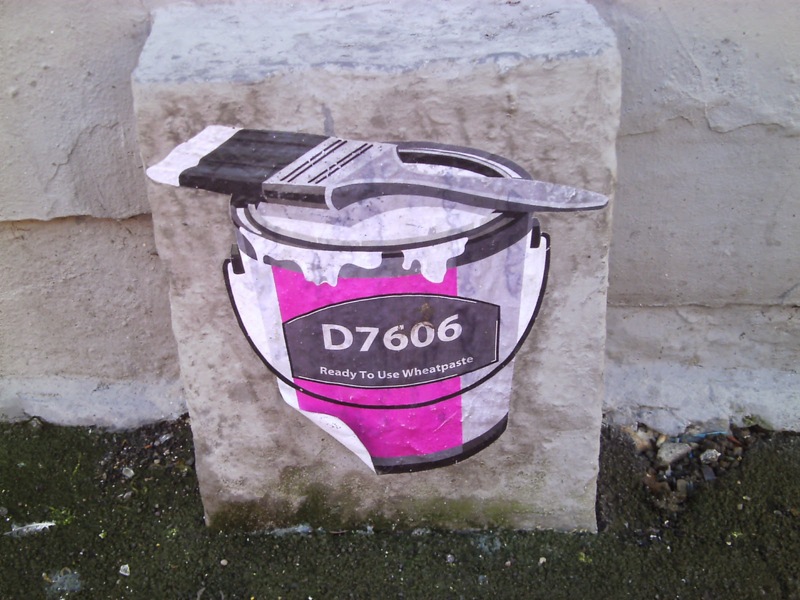 We're not sure who has done this on Shoreham Street. If you know then shout up! 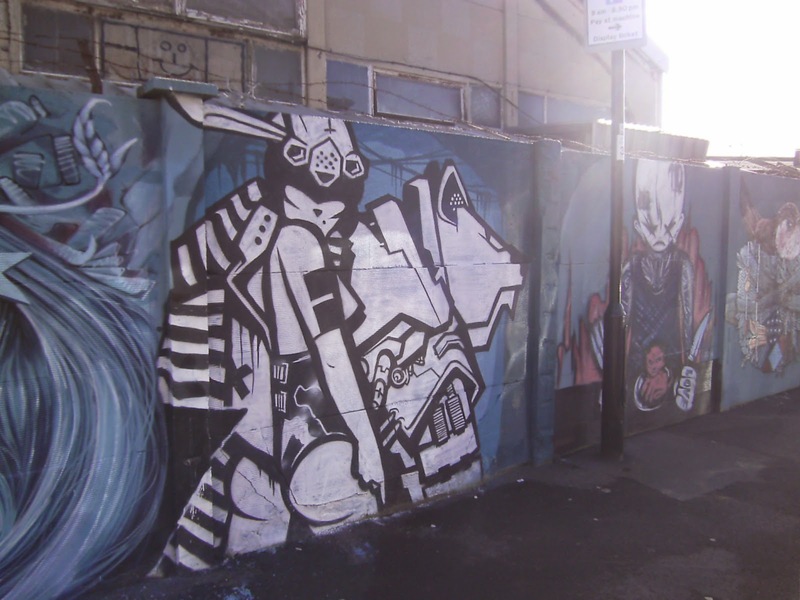 Also on Shoreham Street is one of many pieces by Kid Acne to grace the walls of Sheffield. 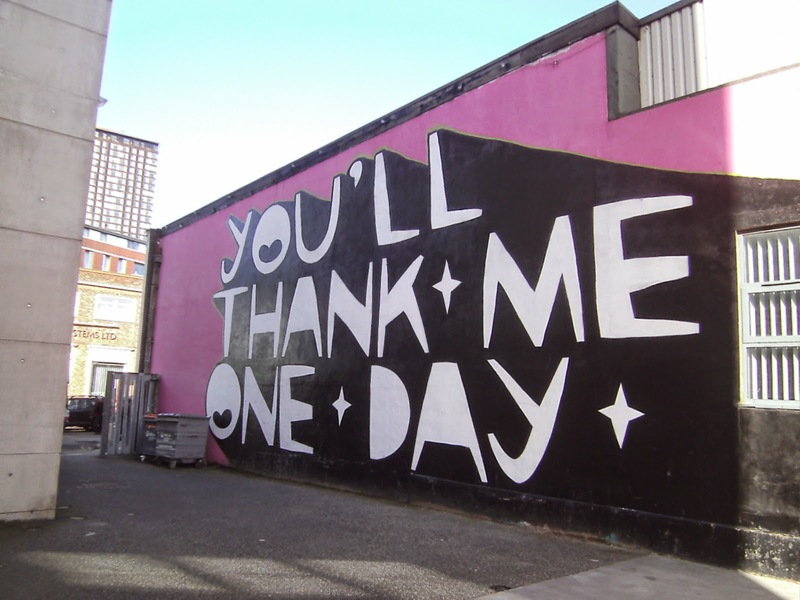 To finish off this month we'll leave you this classic from Kid Acne situated in a car park off Brown Street. Fabulous. How amazing to have all these brilliant pieces on the doorstep. I just love the magpies. There was a whole trail of them round Sheffield at one point. We must try and find any that have survived! 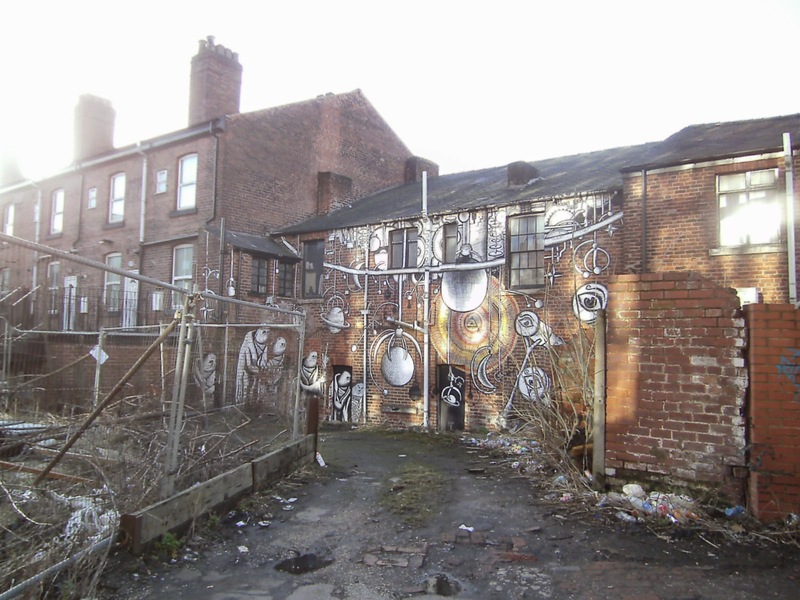 Kid Acne has done some others like that in Sheffield as well such as one that says, 'That'll learn them'. I thinking of commissioning one that says, 'One day I'll get paid for doing this'.